Home » Altcoins » What Is Golem Network (GNT)? What Is Golem Network (GNT)? How to buy Golem – GNT? How Does the Golem Network Work? How to Invest in the Golem Network? Cryptocurrency is one of the most talked about technologies these days and ever since the first cryptocurrency was created in 2009, more than 700 cryptocurrencies have been created. 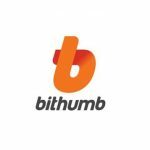 They are free from any banking or state authority, and designed for the world of online payments. Cryptocurrency is also one of the fastest changing fields of technology and has opened the door to new investment opportunities across a wide spectrum of industries. The rise of cryptocurrency is one of the most intriguing developments in the payments industry right now. Cryptocurrency is one of the most exciting investment opportunities of our time, but many people who are interested in investing their cryptocurrency find themselves struggling to find the right option for their needs. The currency rate can equally grow AND fall severely in a matter of hours, not even days and all too often, users opt for wrong investment opportunities that leave them feeling discouraged. Fortunately, this review would like to introduce Golem Network GNT. This blockchain project may be able to help individuals find a new investment opportunity that will help them reach their target return. Golem Network, the Airbnb of computing, is the world’s first open-sourced and decentralized project that is made on Ethereum’s blockchain, which means that anyone anywhere can use it. The project involves connecting multiple computers to one large and powerful supercomputer. Golem’s “supercomputer” gets its power from the combined power of user’s machines, from personal laptops to entire datacenters. 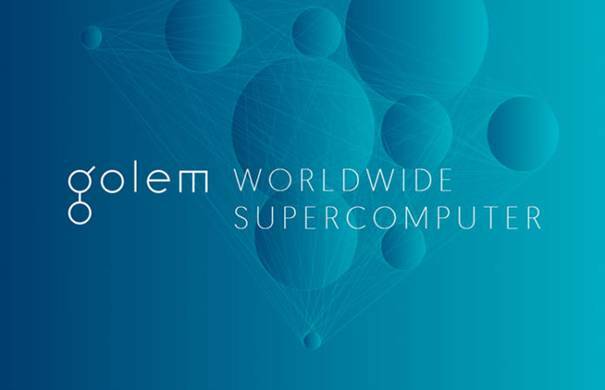 Users from all over the world can contribute excess computing capacity to Golem because there is no hardware in just one specific location, which ensures this decentralized supercomputer can scale over time, which is something traditional computers of this magnitude struggle with right now. The project is not only a powerful and useful system, but it will also give you an inexpensive and easy access to supercomputer-levels of computation, which is likely to have ramifications for a vast range of sectors across the world. As a user of Golem’s platform, you can perform complex calculations, conduct research on various platforms, and render images as well. You can even run miners using this computational resource, run a long code, and mine cryptocurrencies. Golem intends to redistribute the power of computing, and if the project proves to be successful, it could be revolutionary. The Golem Network is a person to person network, where anyone can make money ‘renting’ out their computing power or developing and selling software. Golem enables users/applications (requestors) to rent out cycles of other users’ (providers) machines, and any user ranging from a single PC owner to a large data center can contribute resources to Golem network. Golem connects users across the network so that they can perform tasks on their computers much faster and that normally take a long time. The faster processing time gives individuals the opportunity to complete what they need to do and to do even more than usual. The Golem Network makes computing decentralized by changing the very nature of how computer intensive tasks are carried out and distributed, and it may just be the future of computing that gives users much more power. Julian Zawistowski, the CEO and founder of Golem, is an established leader and entrepreneur who wants to change the world for better. Piotr ‘Viggith’ Janiuk, the CTO and co-founder of Golem, is an experienced programmer that believes in cutting-edge technologies like the blockchain and is keen on bringing them to life. Andrzej Regulski, the COO and co-founder of Golem, is an experienced manager and consultant who has previously consulted public authorities with his consultancy firm. The Golem Network is comprised of the power from many computers, and participants who offer their computing power are paid through transactions that are provided by the Ethereum blockchain. Ethereum was chosen because it has small transaction fees. This ensures that you pay no more for the transaction than for the computing power itself. Requestors who demand computing power and get access to affordable and scalable hardware and software resources. Providers who supply computing power and get paid in GNT for providing computing power. Software Developers who develop different applications for various use and get paid in GNT for providing suitable apps. The concept behind Golem is simple. The task at hand is divided into fragments and sent to participants in the network, where each computer completes its part of the task and returns the result, which means that many tasks are carried out in parallel, ensuring high speeds. Users who wanted to participate in the project could exchange Ether by Golem Network Tokens, or GNT, which are Ethereum-based tokens used to fuel the Golem platform. Golem supercomputers will run when the user pays GNT tokens, which will be given to people who have rented out their extra computing power on the Golem network. One more thing worth noting is that GNT’s coin supply is fixed and no new GNT will be created in the future, which means that the price of GNT will likely increase as the project becomes more popular. Further, those who use this system can make their payments easily and through the secure system, and oftentimes, those who pay into the system will get a return on their investment as well. It is also important to recognize that the system is decentralized as well, which means that those who use the system will have a direct stake in the decision-making process so that each member can make a decision for the greater good of the platform. Further, another capability of this system is that it can distribute the task of rendering CGI, doing in minutes what would take days, for cheaper than anything else. This gives users the opportunity to conduct stock market predictions and research and big data analysis. The best thing is that you can go to Golem to speed up the process while lowering costs. Those who are interested in investing can do so through giving the network the processing power of the computer, and for that the individual will be paid by the company. This way, users just need to invest the power of their computer, and not their money. You could also invest in an ICO (Initial Coin Offering). The Golem token sale concluded on 13th November 2016 and their target of 820,000 Ethers (~9 million USD) was met within 30 minutes. Golem could be an effective solution for many users who want to utilize higher processing power while also sharing their own, which makes a strong case for maintaining some GNT as an investment. Golem is a huge and aspirational project, but only time will tell how it plays out in the end. But at the moment, GNT tokens are looking good, and they have grown at a rate of more than 5,000%. Needless to say, as the project becomes more popular, the price of GNT will likely increase. Top top bitcoin wallets are mentioned in this article. Read here about best ether wallets. Here is our list of Dash wallets. Read here about best LTC wallets. Read here about NEO wallets. Wonder what is the best wallet for BCash? Click here to find out. Top xrp wallets are mentioned in this article. 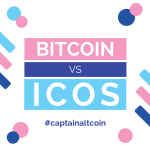 Should You Invest in Bitcoin or ICOs?